Masks do you require? All of them! Masked as a party member for now. If you want to earn a council rank perhaps message people this forum address and then I will give you a council rank. masks: party member possibly even though i am RFP we need to communicate still right? Date Joined CPP- I dunno. A few days ago. Masked Scorpius as a friend of the party and John as a party member let me know if I missed something. Spread the word. note: Non-masked members can not post in this thread. 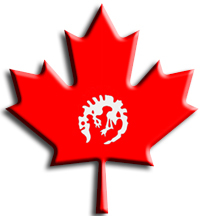 Date Joined CPP: I'm in Spain in-game, so when I get back to Canada. Masks Required: Needed Party Member masking, but have that now; Thanks. Date Joined CPP: Have not joined yet, I want to know more about you guys before signing in. Was intrigued by a post made by Dutchy about your party. Date Joined CPP- I don't know, a while back, I was also a member a year ago. Masks do you require? Whatever? Masks do you require? All I can get. Masks Required: Whatever is necessary.